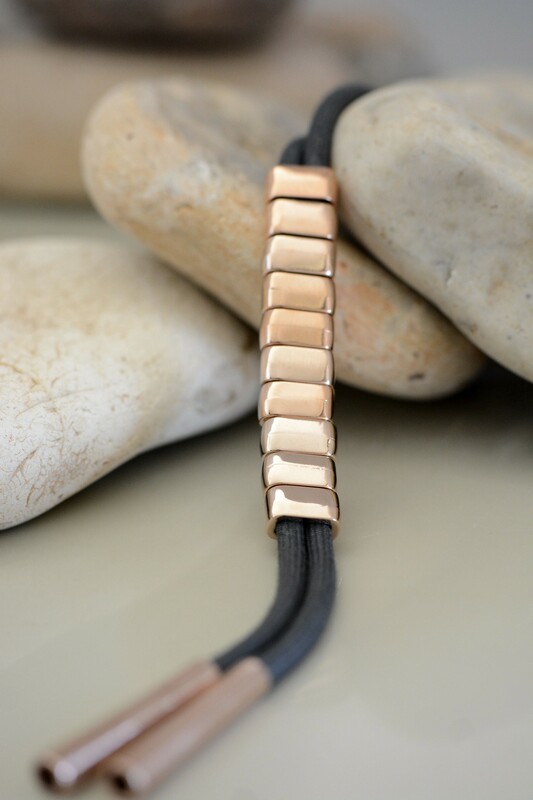 A radiant and sophisticated choice, this piece features several metal elements plated in rose gold color hung from a dark grey cotton cord. It's accessible, fun and perfect for nearly any occasion. 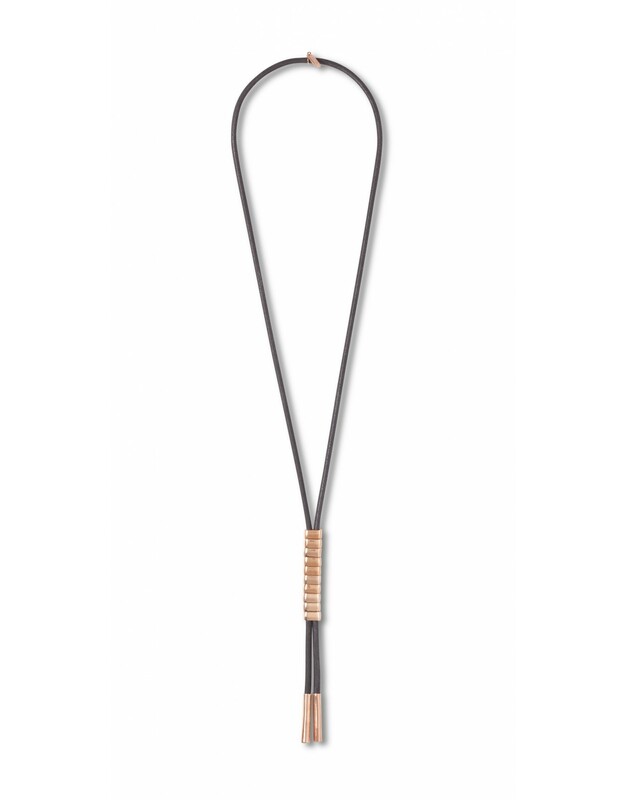 Dark grey cotton cord holds several striking metal elements, each one plated in an elegant rose gold color. 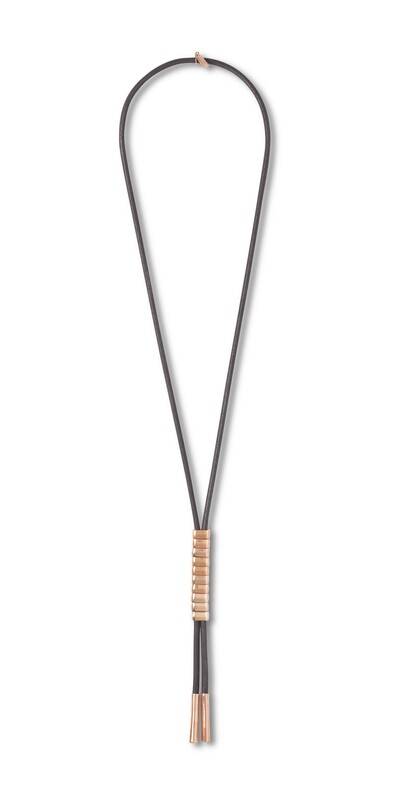 This necklace is radiant and sophisticated while remaining accessible and fun. It's perfect for a casual weekend lunch or a night out with friends.